7" x 10", 526 pages, bibliography, index. For pricing and ordering information, see the ordering section below. 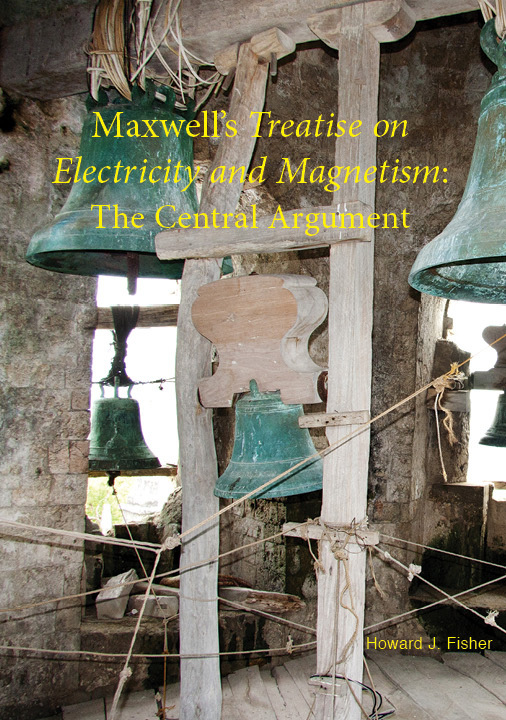 Howard Fisher follows up on his elucidation of Faraday's Experimental Researches in Electricity with this in-depth guided study of Maxwell's great work. Taking us through the parts of the Treatise that Maxwell himself identified as central, Fisher provides illuminating notes to the physical concepts and explains the mathematics in a way that allows even nonspecialists to understand this extraordinary text, upon which much of our understanding of the universe is founded. ...[Maxwell's Treatise on Electricity and Magnetism: The Central Argument] fittingly follows Howard J. Fisher's Faraday's Experimental Researches in Electricity: Guide to a First Reading (Green Lion Press, 2001). The intended audience is broad: everyone, or at least everyone "with an interest." Accordingly, much of the commentary, which fills on average a quarter to a third of a page, concerns mathematical details. There is even a special section devoted to an alternative derivation of Stokes's law. If your vector calculus is rusty and you are interested in having a go at the Treatise, this edition is a good place to start. The editorial introductions to the selected chapters, though relatively brief, expand considerably on the physical character of Mawell's ideas and become particularly informative in the electromagnetic part. Reading the words and exploring the ideas of a great thinker like Maxwell in the well-guided way Fisher provides can be of help to active researchers in many branches of mathematical science. For example, at the crucial point in the development of his equations, Maxwell had recourse to the formulations of Lagrange and Hamilton, previously applied only in the area of mechanics. Maxwell also reveals profound ability in what we now call functional equations: creating ingenious arguments to constrain what shape possible equations modelling phenomena could take, from knowledge of aspects of the phenomena. (Maxwell had previously used functional equations in his remarkable derivation of the form of the velocity distribution of atoms and molecules in gases.) He also made great use of the ideas of the dimensions of physical quantities, something which in mathematical physics is often swept under the carpet when non- dimensionalised units are employed. Indeed, the speed of light in vacuo first emerges in his work as the ratio of the physical units naturally emerging from the electrostatic and magnetostatic descriptions of fields. His treatment of light as an electromagnetic wave is sophisticated: he derives its radiation pressure, formulates the stress tensor for its fields, and discusses its propagation in anisotropic as well as isotropic media. Below are links to PDF versions of the Preface and Table of Contents. You may need to open these PDF documents in Adobe Reader or an equivalent program. 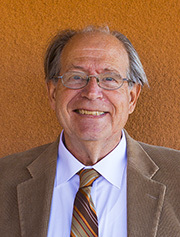 Howard J. Fisher is Faculty Emeritus at St. John's College in Santa Fe, New Mexico. He has taught in the college's celebrated Great Books program since 1965, where he has made a very substantial contribution to the college's unique inclusion of laboratory sciences in the integrated humanities/liberal arts curriculum. With a background in physics and philosophy, Fisher had long before made acquaintance with "the physicists' Maxwell." Rereading Maxwell's Treatise many years later in Faraday's light, and in the context of such thinkers as Plato, Aristotle, Galileo, Newton, Kant, Fisher discovered a very different Maxwell indeed—a mathematician who pressed beyond formalities; a physicist striving for an open activity of seeking and knowing. "That is the Maxwell," says Fisher, "I have tried to do justice to in this guide to the Treatise on Electricity and Magnetism." Sewn softcover, 978-1-888009-45-3, list price: $31.95. To order this book directly from our distributor, National Book Network (NBN), call toll free at (800) 462-6420. For other ordering options, shipping options, order inquiries, bulk orders, returns and more, go to the Ordering Information page.